Analysing our 3,800 players this season. 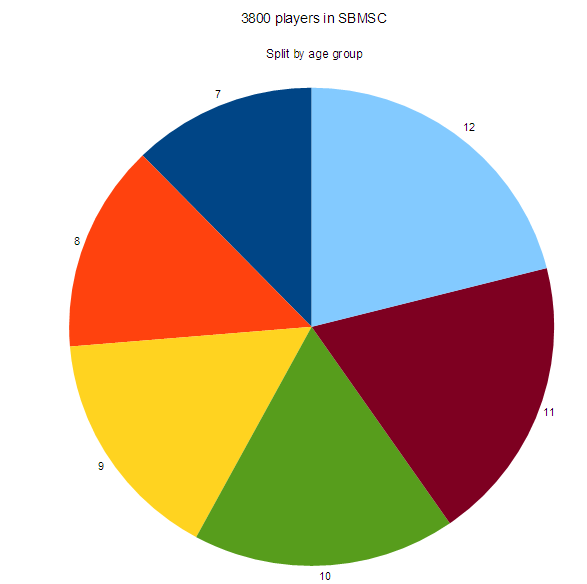 SBMSC estimates 3,800 players are to play this season in the Conference matches. 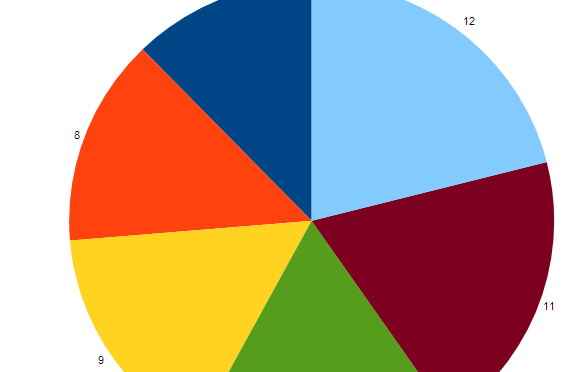 The split by age group as the season kicks off in September is shown in the pie chart below. Taking into account the differing team sizes, the U11 and U12 age groups have the largest player count and the starter group U7 the smallest. In all, 235 squads have registered to play this coming season. In U7 to U10 age groups each squad comprises two mini soccer teams, while U11 and U12 age groups comprise single teams. So that works out to 369 teams entered to SBMSC. An analysis is shown in the table below. Previous PostFixtures for the first half of season 2016 /2017Next PostFixtures up to Christmas are now on the website!